The more I learn about it, the more it scares me. We keep alcohol out of the hands of our kids, but we liberally give them orange juice liberally without thinking twice. 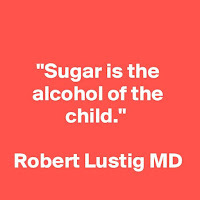 We wouldn't think twice about not giving your kid a Budweiser but you don't think twice about giving your kid a can of Coke but they are the same says Robert Lustig, professor of Pediatrics at California University in San Francisco. 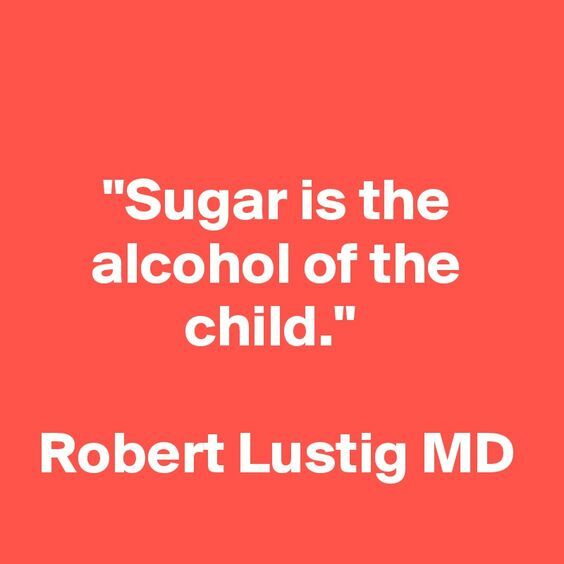 Sugar is the alcohol of the child. In his opinion, sugar is poison, is a chronic dose-dependent liver toxin. He studied the subject for 16 years. It is all backed by science, sugar drives the obesity and diabetes. Alcohol damages your body. So does the excess of sugar. This generation of children is the first one that is predicted to have a shorter lifespan than their parents. Something has to be done. It is criminal and outrageously unjust for our kids. Obesity worldwide has more than doubled since 1980. In 2013, more than 42 million kids under the age of 5 were overweight or obese. Obesity is killing more people than famine. Is it because we eat too much fat? Is it because we eat too much SUGAR? Or is it because we eat too little fat and too much sugar? The World Health Organisation advises adults to stay bellow 25 grams of sugar/day which is about 6 teaspoons/day. Starting your day with a glass of orange juice? There are 23-28 grams of sugar in it, so forget about desert for the rest of the day, have your coffee and sugarless tea and cook everything from scratch if you want to stay within the recommended sugar intake. Seams impossible to you? Then forget about the pulp free orange juice and have a glass of lemon water and an orange instead. Not your style? You love your orange juice? I did too. I still do, but I made a conscious decision to choose health. Today's meal sets you up for tomorrow sickness or tomorrow's health. I choose health. What do you choose? Hard to change your eating habits? That's understandable.The question is, is it worth setting your body up for diabetes, liver disease, heart disease and others alike? Sugar can be as addictive as heroin medical study shows. Why is sugar as bad as alcohol for your health? Start your journey back to health TODAY. Call us for a comprehensive Nutritionist/Naturopath health Assessment or book here.